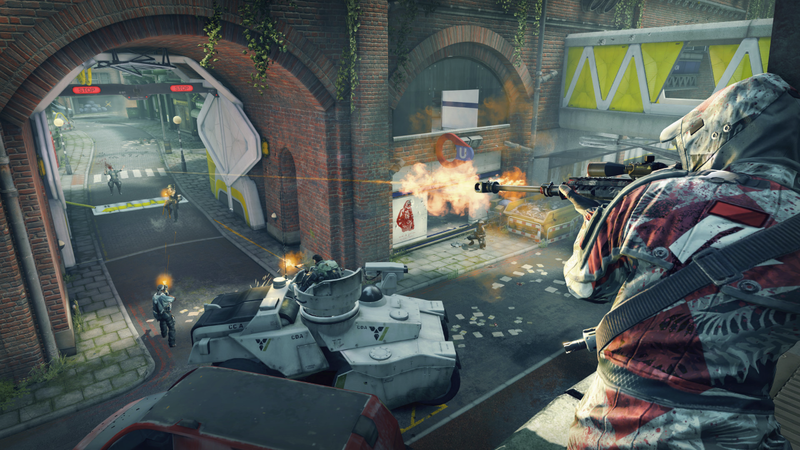 Dirty Bomb, the free-to-play online shooter developed by Splash Damage® Ltd., will launch its biggest update yet, “Containment War”, on Wednesday. 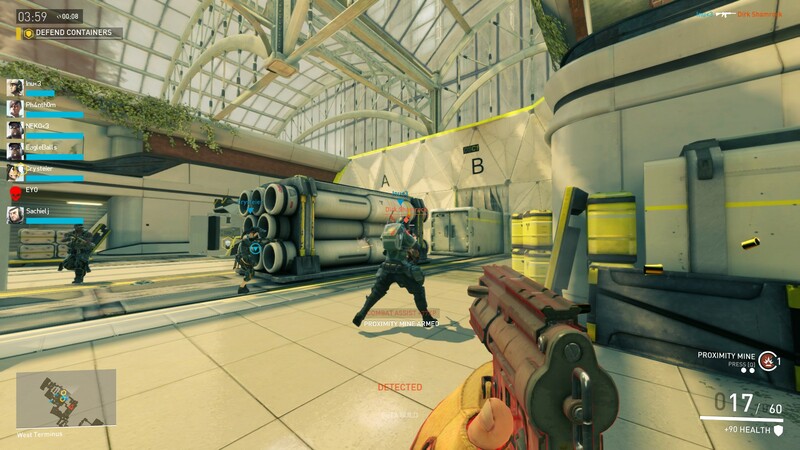 The update provides a wealth of new content for players, including a Molotov-wielding Mercenary equipped to resupply allies with a deployable ammo station, the all-new Execution mode and maps and the eagerly anticipated Dome map for Objective and Stopwatch, as well as limited-edition Containment War Loadout Cards to be collected and an updated profile page to show off your stats. As an added bonus, players who get in on the Dirty Bomb action between Wednesday, Oct. 28 and Wednesday, Nov. 4 will permanently unlock recently released medic Phoenix for free. Execution Mode is introduced in the Containment War update and features two new maps, Overground and Market. In this single-life mode, players battle it out over twelve rounds with the objective of eliminating the enemy team or destroying a section of the massive ‘Containment Shield’ by planting a bomb. Stoker: A disruptive force on the battleground, Stoker can close down chokepoints with Molotov grenades and resupply allies with a deployable ammo station. Phoenix: An offensive-minded healer with self-revival and healing abilities enabled by nanite technology. Phantom: A terrifying Recon Merc with a refractive armor suit that allows him to turn invisible in battle and close in for the kill with his Katana. Red Eye: A medium range marksman who tactically uses smoke grenades and his infrared goggles to spot enemies on the field. Sparks: A not-so traditional healer who comes equipped with a gun that can revive teammates and cause enemy damage from a distance. Additionally, this update brings limited-edition event Loadout Cards, which provide Containment War character and weapon skins. The event cards are available for the 30 days following the release of the update, and can be obtained in three ways: CW Equipment Cases give a 0.3% chance of scoring a Containment War Loadout Card, CW Elite Cases have a 10% chance, or purchase a bundle of 10 Elite Cases for a bonus CW Event Case that guarantees a Containment War Loadout Card. 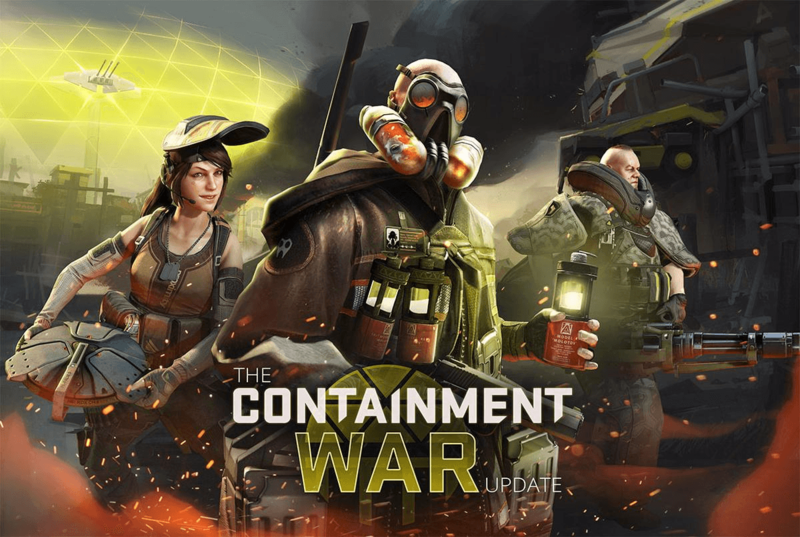 While the Containment War Update is the biggest since the Dirty Bomb Open Beta began, new features and gameplay improvements have continually been added this year based on feedback from the community, including load-out card purchasing up to Bronze with in-game currency, matchmaking improvements and private matches, surrender & restart functionality, a report-a-player feature, a new anti-cheat system and more.